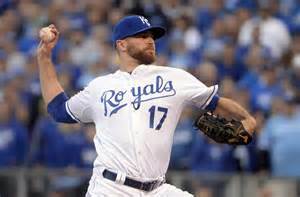 2015 Season: If you are reading this article, you know exactly how the Kansas City Royals 2015 season went. 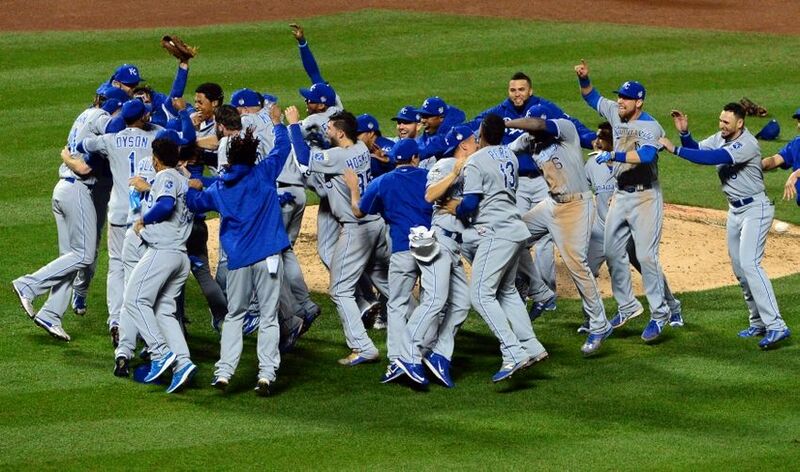 The Royals were just that, kings of the baseball world as they secured their first World Series victory since 1985. On the backs of adequate starting pitching, exceptional defense, aggressive hitting, and a dominant bullpen, Kansas City was the best team in the Majors last year, and for some it wasn’t close. They racked up 95 wins, two better then the Toronto Blue Jays, for most wins in the American League and will enter the 2016 season as favorites to clinch their third consecutive AL pennant. Key Additions: The biggest addition for the Royals was to re-sign one of their own. 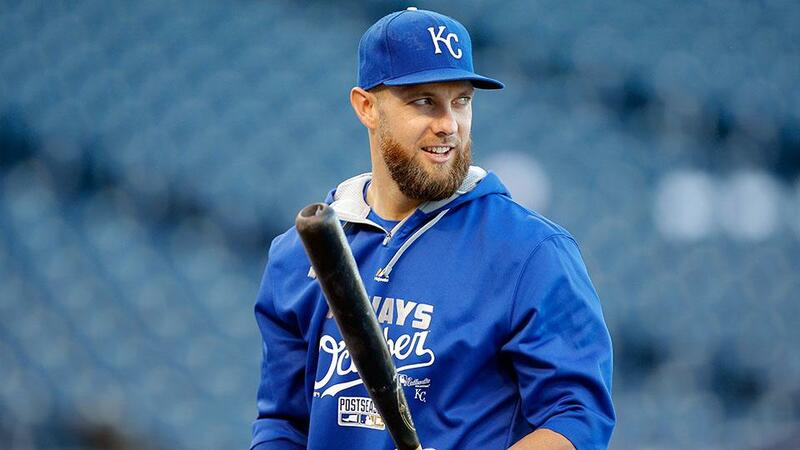 Left fielder Alex Gordon decided to re-sign with Kansas City on a tremendously team-friendly contract (4 years/$72 million), turning down more money elsewhere to stay on his boyhood club. Considered one of the best defensive outfielders in the game, the re-signing of Gordon was instrumental for the Royals in the offseason, and to do so on such a team-friendly contract was the icing on the cake. 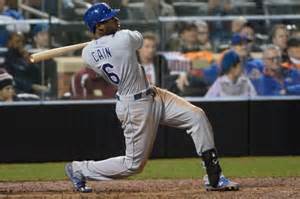 Gordon will continue to be a tough out at the plate and a rock in the outfield for the next 4 years in Royals’ blue. 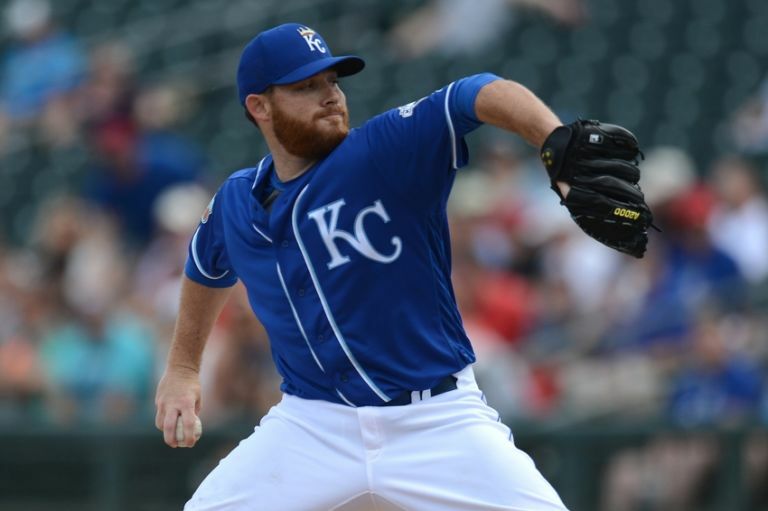 After Gordon, Kansas City only made one more impact signing, adding starter Ian Kennedy to the team on a 5 year/$70 million contract to sure up the middle of their rotation. Slotted in as a #3 starter, the Royals probably overpaid for the righty, especially after his less-then-stellar numbers from a season ago, but they will hope that Kauffman Stadium will help correct his extreme home-run rate while with the Padres, giving up a home fun on 17% of all fly balls. The excellent defense in KC should also help Kennedy who was once one of the more promising pitchers in baseball only to have faded away over the last few seasons. The Royals will be hoping that a change of scenery will get Kennedy back on track. Finally, the Royals added to their already incredible bullpen, adding reliever Joakim Soira to the fold. He should cover middle innings and any games tied late. Key Losses: The biggest losses for the Royals came at the hands of two rental players who they never really expected to re-sign. Starter Johnny Cueto and utility guy Ben Zobrist were both acquired at the trade deadline last year and both were huge parts to the Royals taking home the title, however both were seen as unsignable by KC as Cueto left for the Giants while Zobrist headed to the North Side of Chicago to join his former manager Joe Maddon and the Cubs. After Cueto and Zobrist, the Royals also parted ways with pitchers Greg Holland, Ryan Madson, Franklin Morales, and Jeremy Guthrie, as well as right fielder Alex Rios. None of these losses were particularly great for the Royals as their bullpen remains as formidable as ever with the addition of Soria and Alex Rios was becoming a burden in right. Overall Kansas City enters the 2016 season in a very strong position to try and live up to last year’s success. This is a lineup that loves to put the ball into play. The top of the lineup remains basically the same as last year, as the combo of Escobar and Cain at the top with their ability to get on base and run with the meat of the order in Hosmer, Morales, Moustakas, Perez, and Gordon prepared to knock them in. There are few lineups in baseball that have the length that the Royals have, especially when their big signing that they are paying close to $20 million a year for is slotted in the 7th spot. On most teams a player like Alex Gordon would be hitting no less then 5th. This really shows you the depth of the Royals lineup. After Gordon however is where things get a bit interesting. The Royals opted to not address the hole left by the departed Zobrist at second base, opting to hope that Omar Infante will rebound after a dreadful 2015. Infante’s 49 OPS+ was last among all qualified second baseman last year, but nagging arm injuries could have factored into that. He had surgery to fix his arm issues in November and with the Royals still owing him $17.75 million over the next two seasons he will get a long leash to get back to form. There are not many options after him however at the keystone so the Royals are taking a bit of a gamble with Infante for if he struggles they don’t have anything to fall back on. Lastly, The Royals are planning a platoon situation in right field after parting ways with Alex Rios. Paulo Orlando and Jarrod Dyson will be the two players in right, both of whom are very good fielders but leave a little to be desired at the plate. If they get on base though, both can run the bases with the best of them, but they will have to get on base to utilize such speed. Because of how deep this lineup is the importance for these two to play a large roll for this team is lessened, giving both of them plenty of opportunities to earn a starting spot before any trade deadline moves have to be made. This was an average group last year, but with the bullpen behind them that is all that is required of this starting rotation. 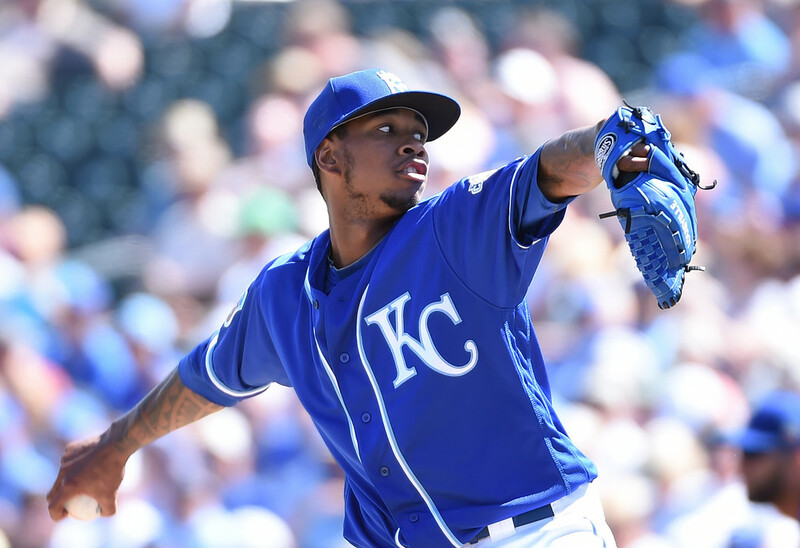 Ventura will be expected to take another step in his development after what was considered a bit of a step backwards in 2015. His control improved throughout the course of the season however and if he can carry that over to 2016, expect him to easily eclipse his 13 win total from a year ago while getting closer to 200 strike outs. Volquez had arguably his best year last year with the Royals during the first of his 2 year deal. With free agency on the horizon after this season he will hope to duplicate those numbers. I spoke about Kennedy’s goal to turn around his career with the Royals above. He is an innings eater with no red flags on his medical history and peripherals that should translate well to Kaufman Stadium nicely. Remember, he is just 5 years removed from going 21-4 with the Diamondbacks in hitter-friendly Chase Field. If he can keep the ball in the park I would not be shocked if he started to look more like the 2011-2012 version of himself rather then the recent one we have come to know. Medlen has plenty of upside, but carries with him a huge injury risk having gone under the knife twice for Tommy John surgery. When healthy he has shown he can pitch but can he survive an entire season? That is the real question. And finally the always dependable Chris Young will round out the rotation to start the year. He throws nothing harder then a high 80s fastball, but with his height (6’8″) that ball seems to jump at unsuspecting hitters. So long as he can eat innings and keep the Royals in contention he will have done his job. And if he, or anyone else, struggles or gets injured expect lefty Danny Duffy to step in as a replacement. They Royals bullpen has been the staple of this team for nearly 4 years now. Always at the top of the league in bullpen ERA and strikeouts, this unit will once again be looked at as the biggest strength of this team. With some questionable starters in the rotation, all they will be asked to do is keep the game close and hand the lead to the ‘pen to shut them down. The quartet of Soria, Hochevar, Herrera, and Davis (who looked like the best reliever in the majors at the end of 2015) is the best back end of the bullpen anywhere other then The Bronx and for repeated success in 2016, these 4 will be the reason. Just because the blueprint for the Royals’ starters in recent years has been “pitch well enough to give the bullpen the lead” doesn’t mean that this team has to only rely on that day in and day out. The Royals starters were 12th in the American League in ERA, giving up 4.32 runs per nine innings. Yes, their offense can bail them out as can the bullpen, but for the Royals to maintain their elite play, especially without a clear ace when Cueto left, it will be up to the entire rotation to improve those numbers. If they could simply be a top-8 rotation then the Royals are all but guaranteed October baseball. If they struggle however, they could negate the best part of their team (the bullpen) and prevent the back end of the pen from seeing regular playing time. It is the only way I can see this team not dominating the American League for a 3rd consecutive season. HBT’s Prediction: The Royals are good. Are they good enough for me to pen into the Fall Classic for a third straight year? I’m not sure of that, but they will make the postseason with a chance to do exactly that. So long as they avoid the injury bug, both in their lineup and from their starters, the rotation holds up enough to let the bullpen do it’s thing, and one or two timely midseason trades are completed, then the sky is the limit for Kansas City fans. I expect them to win 95 games yet again in 2016, good enough for the Al Central crown.